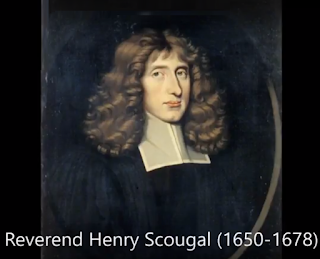 THE Life of God in the Soul of Man or the Nature and Excellency of the Christian Religion was originally written as a personal letter from Henry Scougal to a friend in spiritual need. It was eventually published anonymously in 1677 with a preface by Gilbert Burnet, Bishop of Aberdeen and, later, Salisbury. It is considered to be a devotional classic and is often mentioned in the same breath as Augustine's Confessions, The Imitation of Christ and Pilgrim's Progress. It contends that true religion is not a matter of outward form but "union of the soul with God, a real participation of the divine nature, the very image of God drawn upon the soul, or, in the apostle's phrase, it is Christ formed within us". The style is simple, direct and brief, with a strong mystical element. There is a timelessness about the style appropriate to any age and perhaps especially attractive to this one. The book had a great influence on early Methodism in the following century. A 19th century writer once ventured the opinion that Scougal was the fons et origo of Methodism. Besides the book's influence it has been suggested that the society over which he presided at King's College, Aberdeen, was a model for the famous and influential Holy Club led by the Wesleys at Oxford. The book was commended to John Wesley by his mother Susannah. In a letter she speaks of it as "an excellent good book" and "an acquaintance of mine many years ago". The book was John's constant companion in the 1720s. Charles Wesley also loved it. It was he who, while still at Oxford, passed it on to George Whitefield, who spoke most highly of it. "I never knew what true religion was," he says, "till God sent me that excellent treatise by the hand of my never-to-be-forgotten friend". Whitefield dated his conversion from this time. Through Scougal, he says, "God showed me that I must be born again, or be damned!". Some have traced Whitefield's decidedly magnanimous, undenominational spirit to the influences of Scougal's treatise. In 1739 a mass circulation edition was printed in Edinburgh with a preface commending the work by the Principal of the University, William Wishart. When in Georgia, John Wesley had once given a public reading of the book as a counter-attraction to a ball that was being held. He and Whitefield no doubt helped make the book known on the American continent. Benjamin Franklin had German translations published in Germantown, Philadelphia, in 1754 and 1755. It was not until 1766, however, that an American edition in English was first published. In 1805 a version in tract form was published in Philadelphia sponsored by five ministers of different denominations, including Joseph Philmore, a convert of Wesley's, and Presbyterian Ashbel Green who later became President of Princeton College. The book was a favourite not only with those who were or became evangelical. In the next century it found favour also with the Tractarians of the Oxford Movement. Back in Scotland, Thomas Chalmers had it published in his series of "Select authors" in 1830. Bishop Jebb of Limerick spoke of it as "that beautiful epitome of revealed religion" and listed it among works of "piety without asceticism". It continued to be in print and widely read until about 1892. In this century it has fallen into comparative neglect but a number of editions have appeared since 1946. A Sprinkle edition appeared in America in 1986 and the book continues to receive interest. Little is known of "Aberdeen's immortal mystic" himself beyond what was said in his funeral sermon. Scougal was born in Leuchars, Fife, in June 1650, where his father was minister. Patrick Scougal went on to become Bishop of Aberdeen after the Restoration. He was pious and scholarly, a friend of the revered Archbishop Leighton. Little is known of Henry's mother, Margaret Wemyss, but his upbringing was godly with a thorough classical education. At 14 he entered King's College, graduating MA at the age of 18. He was said to be both studious and grave but not affected in his manner. From 1665-1668 he was president of the college religious society that we have mentioned. Following Wesley's lead, there has been a tendency to idealise the Holy Club. 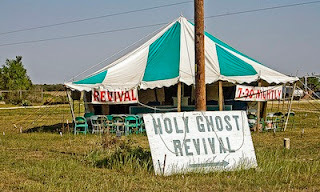 The fact is that, though a religious club, observing the sacrament, fasting, visiting prisoners, etc, it was far from being an evangelical society. The same is no doubt true of the Aberdeen group. 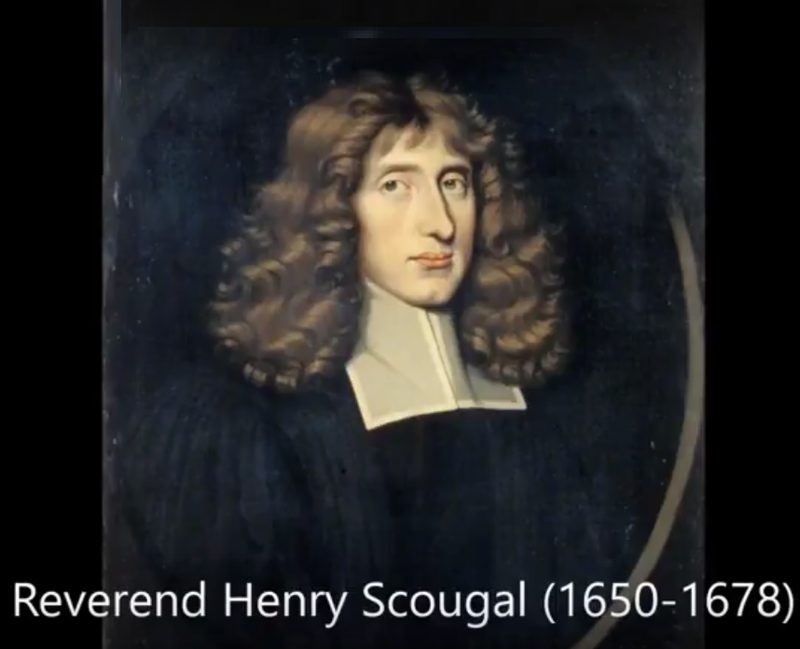 In 1669 Scougal became a College regent and from 1670 served for three years as Professor of Philosophy, teaching according to the Baconian system. He also favoured Grotius and antinomianism and even Descartes. In 1673 he became minister of Auchterless, a small rural parish near Aberdeen. Here he was serious, warm-hearted and disciplined. Nine sermons preached at this time have survived, including one on the ministerial function. Typically, he abandoned the practice of previous ministers of only coming into the Church when it was time to preach rather than for the whole service. Scougal was quite "modern" in his ecumenical spirit, even "post modern" in his distaste for controversy. He favoured writers of a mystical sort and although Calvinistic, he felt it a mistake to try to delve too deeply into the question of God's decrees. After only a year in ministry, he was called back to the University, to the Chair of Divinity. Throughout this period he showed great concern to impress on his students the seriousness of the ministry. His "door was always open" and students were welcome to make use of his personal library in their own studies. He taught until no longer able to do so because of the tuberculosis that eventually killed him in 1678, a few days before his twenty-eighth birthday.